"Grant Field was outstanding. 10/10 thanks Grant "
Read our customers' honest and impartial Aston Martin DB9 car reviews and ratings to easily find your next car at Motorparks. Very pleased with the service I got from from your staff. Nothing too hard for them to sort out. I got what I was promised and very good after sales service - the car is first class and looked like new when I collected it. 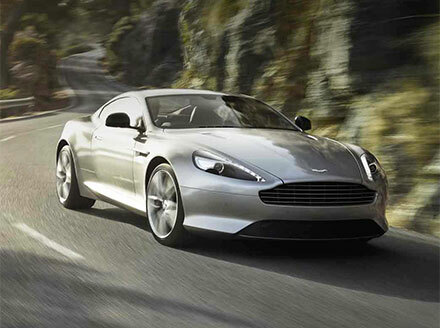 The DB9 is probably the most beautiful Aston Martin ever produced. A great final iteration of a truly lovely Grand Tourer. Fortunate enough to have one of the last built. Early days, but promises to live up to all my expectations. A delight to drive, really looking forward to putting some serious mileage in over the summer months. I have a DB9 Volante and it is just a delight to drive, the seats fit like a glove and are very comfortable, the engine is so responsive and smooth and holds the road superbly. The quality is great from the upholstery to the paintwork to the engine. What more can I say! Excellent.